지난 주에는 미국에서 일곱 번째로 큰 도시, 샌안토니오에 대한 전반적인 이야기를 나눴지요? ‘Alamo’와 River Walk가 있는 도시, 오늘은 샌안토니오의 명소 ‘River Walk’를 유람선을 안내원의 설명을 들으면서 관광해보시겠습니다. Hello, everyone. Welcome to beautiful San Antonio River. My name is Leon, I’ll be your boat captain and tour guide for the next 30 minutes or so. For your safety, this is important. For your safety no smoking on the boat. Stay seated at all times. Keep arms, legs and all body parts we would like keep inside the blue railing. Please stay seated at all times. 또 다른 안내원은 유람선을 타고 가는 도중에 아주 위험한 곳이 있다는 경고를 합니다. I want to warn you all right now. This is the most treacherous part of our boat ride. This is where we lose all our customers. 여기는 배에 탄 승객을 모두 잃게 되는 곳이니까 위험한 곳이겠지요? Oh, yeah, it’s called the mall. 그리고 안내원은 배에 타기 전에 승객들이 어디서 왔는지 물어보더니 기억을 해두었다가 나중에 일일이 소개를 하더군요. Well, I just wanted to say that no matter where you are from, no matter your ethnic or national origin, after all we’re all in the same boat. (제가 그냥 말씀 드리고 싶은 것은 여러분이 어디에서 오셨건, 인종적 민족적 배경에 관계 없이 결국 우리는 모두 같은 배를 타고 있다는 것입니다. 유람선이 다음으로 지나가는 곳은 ‘Tower of the Americas’라는 고층 전망대입니다. In 1968 San Antonio celebrated its 250th birthday with a HemisFair that was sort of a half of a world’s fair. And the centerpiece in the 1968 HemisFair is way over down there left hand side. You have to look back to the left, to get a clear view of the Tower of the Americas, 622 feet tall. Now that’s exactly 14 feet taller than Seattle’s Space Needle. Of course we does it after they did. This is Texas after all. We had to make it a little bit taller. 텍사스와 관련해서는 “Everything is bigger in Texas.”라는 말이 있습니다. 텍사스는 다른 주에 비해서 지역이 넓고, “모든 것이 더 크다.”고 생각합니다. Got a revolving restaurant on the top, revolves once an hour. Straight up your head high above the bridge, we can see the Hilton Palacio Del Rio hotel. It made history back in 1968 when it became the first hotel ever built in entire world using modular construction. Well, they wanted to open it before the opening in the ‘68 HemisFair. In 1967 they’d already sold out all their rooms more than a year in advance. Only one small problem, they hadn’t started building the hotel yet. 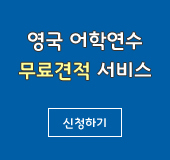 따라서 건축가는 호텔 건물을 좀 더 빨리 건설할 수 있는 방법을 찾아야 했다고 합니다. If you look up here on the left hand side, all 500 of those rooms were built separately at a site eight miles from here. Took only 202 working days. And you know what? They opened just three days before the opening of the HemisFair. 웰컴투아메리카, 오늘은 텍사스 주 샌안토니오의 최고 관광지 ‘River Walk’에서 유람선을 타고 시내구경을 해봤습니다. 지금까지 저 박형권이었고요, 다음 주 이 시간에 다시 찾아뵙겠습니다. 행복한 한 주일 보내시기 바랍니다. 안녕히 계십시오.